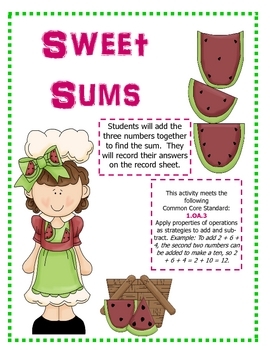 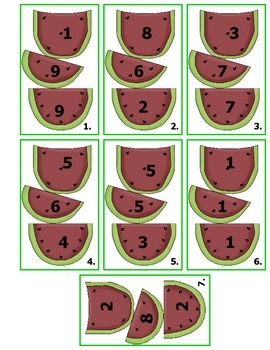 This watermelon themed activity is great to use in math centers! 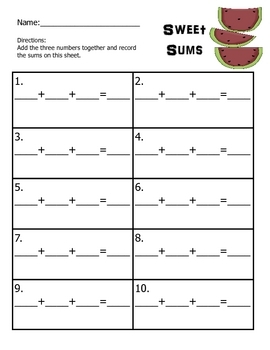 Students will find the sum of three addends. 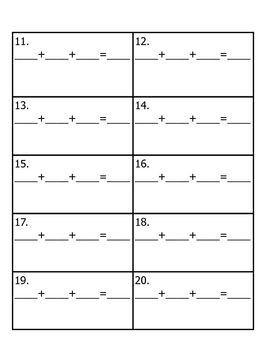 They will use double facts or two numbers that equal ten to help them find the sum of the three addends.